There are so many destinations on our bucket list that we really don’t know where to start – there are just too many places and too little time! However, if you want to bump a destination up a few places on your list, we’d definitely recommend Gibraltar going straight to the top. This little island attached to the end of the Spanish coast is becoming increasingly popular with those who want a bit of Spanish weather and culture, with a few British tidbits thrown in for good measure. Make sure you keep your eyes peeled for the iconic red telephone boxes! When you’re surrounded by people and busy streets (and monkeys), you sometimes want to get away and retreat into nature. 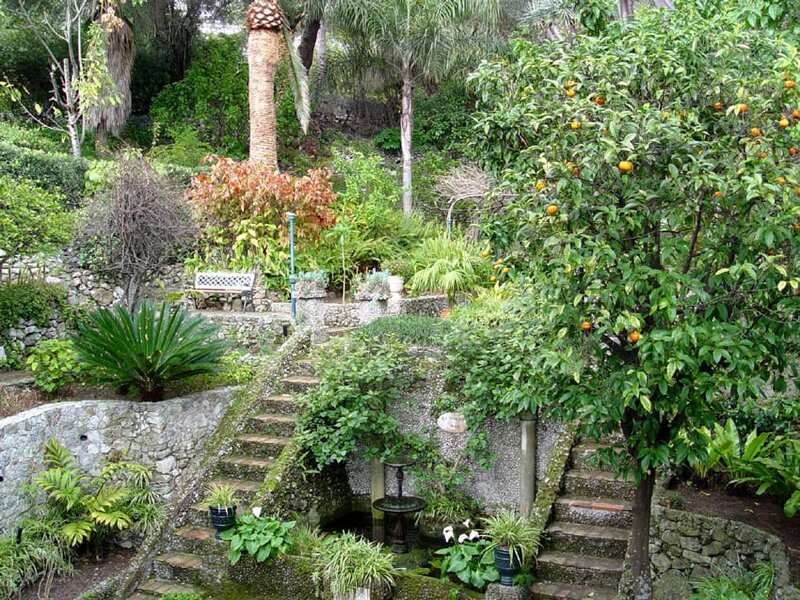 One of the best places to do that in Gibraltar is to check out the Gibraltar Botanic Gardens. These gardens span an incredible 15 acres of land and is full of native and exotic plants, memorials, and wide open spaces for you to relax. There are numerous gardens and sunken gardens around the area, and they’re all connected by beautiful wooden bridges that are totally Instagrammable. If you pick the right moment, you might even be able to visit the Gibraltar Botanic Gardens when the iconic Alameda Open Air Theatre is in use. Let’s be honest, when you’ve seen a rock from the outside once, you’ve seen it a thousand times. So instead looking at it from far away, why not get even closer and check out the insides of the famous Rock of Gibraltar? The Great Siege Tunnels allow you to do just that. 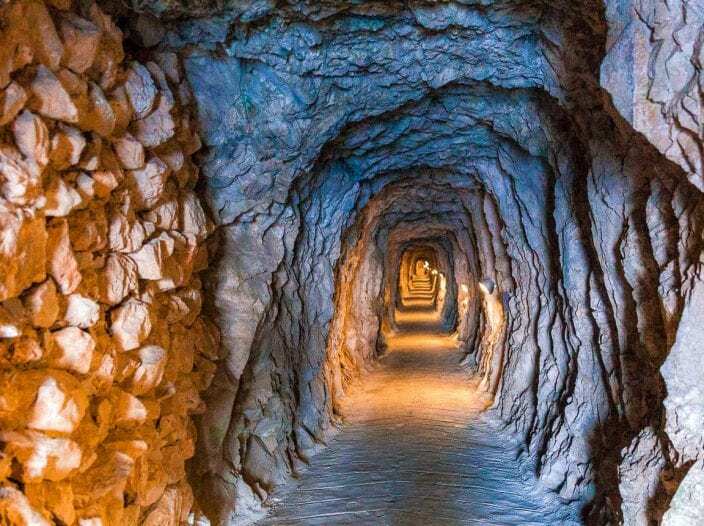 The tunnels were first dug out by the British during the 18th Century when the Spanish initiated the Great Siege of Gibraltar. All of the tunnels were dug manually (that must have been hard work) and took around five weeks for thirteen men to dig just one of the tunnels! Nowadays, the tunnels are open to the public and feature panoramic views out to the ocean, as well as historical information about the construction of the tunnels. They are well worth a visit. 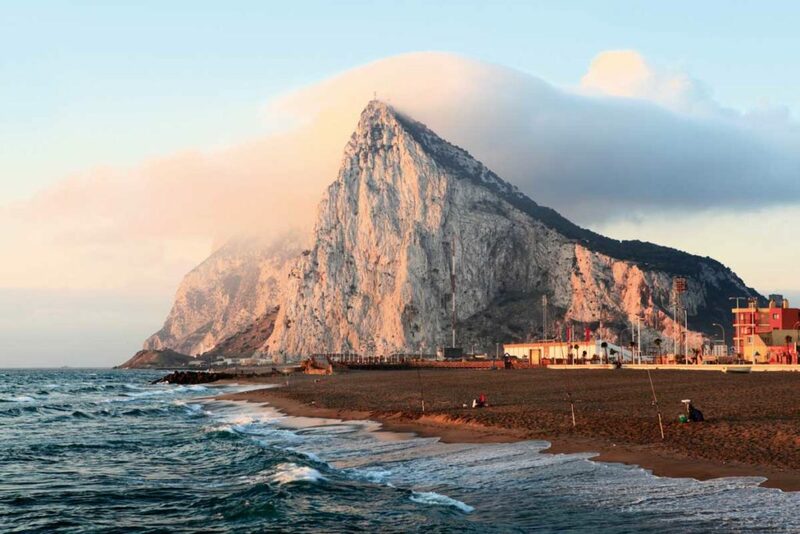 When it comes to Gibraltar, almost all of the notable attractions are within touching distance of the Rock of Gibraltar – and Europa Point is no difference. 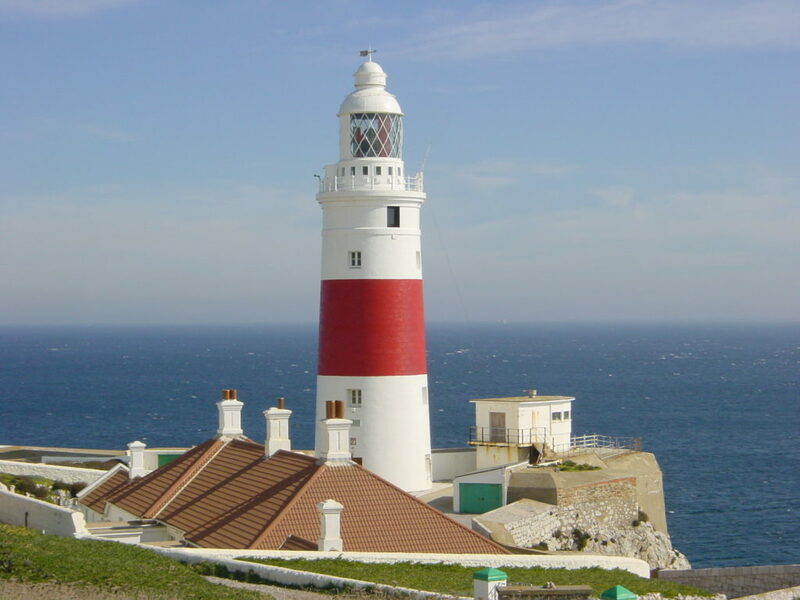 Officially, Europa Point is the most southerly point in the whole of the Gibraltan territory and is flanked by a pretty incredible lighthouse. Many people make it their mission to travel to the end of the Europa Road, to reach the lighthouse and see the amazing views for themselves. From Europa Point, you can see straight across the Strait of Gibraltar, you can see the mountains of Morocco over in North Africa, and you can see numerous towns along the Bay of Gibraltar. It’s a sight to behold. If you want to feel like King and Queen of the castle, a trip to Moorish Castle should be on your ‘to-do’ list when you visit Gibraltar. 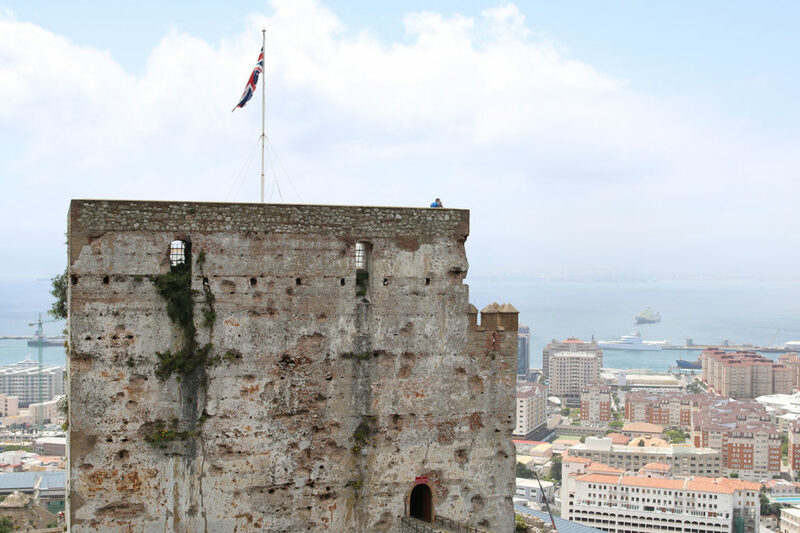 The castle towers over the Gibraltan territory and offers visitors some pretty awesome views of Gibraltar. Alongside that, the 14th-Century castle itself is magnificent. With its famous Gate House and the Tower of Homage, you can check out where the Moors used to hide out, and seek out their enemies from their high fortified walls.